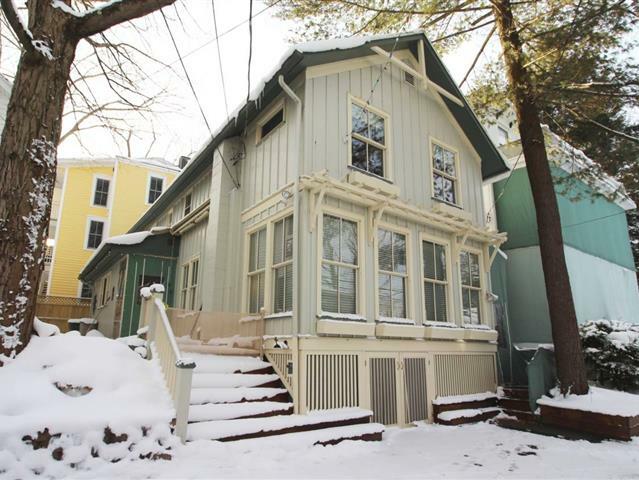 The perfect Chautauqua year round home Circa 1890/remodeled 1974 in an exceptional location close to the Amphitheater and Bestor Plaza restaurants and shops. The home is designed to be used as a single family or has the added ability to section off part of the home as an accessory or in-law apartment. With 4 (possibly 5) bedrooms/4 baths, a large living/dining room with gas fireplace, updated, eat-in kitchen, plus a family room and exercise area with lots of storage. The lower level adds an additional 600 sq. ft. for a total of approximately 2200. There is also an appealing deck/patio that adds to the enjoyment of the property. This home has had only 2 owners. Why not be the third owner? Home Warranty included.